We believe that great quality cakes are to be enjoyed on any occasion. Want a special cake for a loved one, or simply a tasty cupcake to enjoy as a treat, you can find it created in our kitchen. We are based in Tamworth, and cover Sutton Coldfield, Lichfield, Atherstone, Nuneaton and Birmingham. We offer a warm welcome along with the enticing smell of sugar, icing and cakes which keeps our customers always coming back for more. 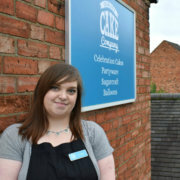 You’ll find our cake and party shop in Fazeley in Tamworth. For more detailed information and parking – visit our how to find us page. Drop by and say hello to order your cake and browse our cake and party supplies. 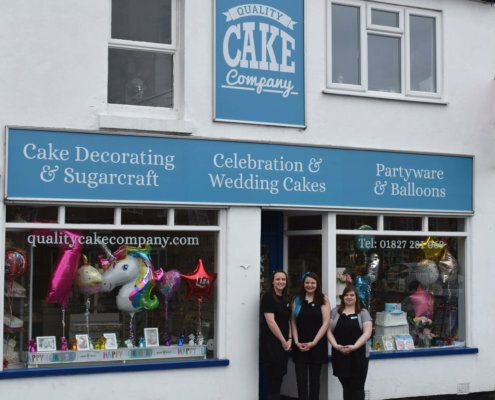 Quality Cake Company is made up of sisters Angela and Lisa Malin, and their good friend Isabel Wass. 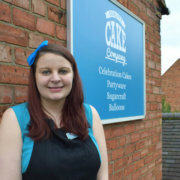 Since leaving university, it has been Angela‘s dream to own and run a cake business. Spending many hours practising her craft and delivering over 100 cakes for friends and family, Angela bit the bullet, taking on Jackie’s Cake Kitchen in Tamworth. Izzy has worked in Marketing and Digital roles for 10 years. In her spare time, alongside Angela, she has created some elaborate and eye-catching celebration cakes. With a natural creative flair, Izzy loves coming up with new cake designs. 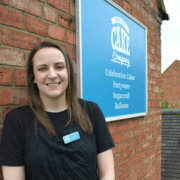 Lisa has worked in Marketing for 10 years and helped many times creating cakes with Angie and Izzy. 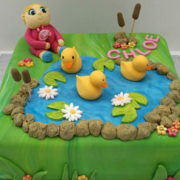 She enjoys seeing ideas brought to life and working on creating fun icing shapes. 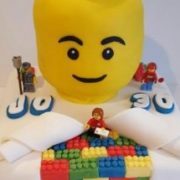 When another cake maker let me down two weeks before my 30th birthday party, The Quality Cake Company stepped in. From that moment things got instantly better. They were extremely professional and even sent me a couple of progress photos the day before the party. The cake arrived looking amazing and was such a talking point with my guests. The added bonus is the cake tasted just as good as it looked. Thanks so much for helping to make a special event even more memorable. Amazing cake from Quality Cake Company…. expert advice to design the perfect cake for my partner. Couldn’t have asked for more…. and it tastes as good as it looks!! The girls at Quality Cake Company made an amazing cake for our twins’ first birthday. All I asked for was a Mickey Mouse clubhouse themed cake and the girls created an amazing cake with cupcakes themed for different Disney characters. Every part of the cake had such detail and tasted amazing too. They made our boys first birthday very special. It wouldn’t be a party without a Quality Cake Company cake!